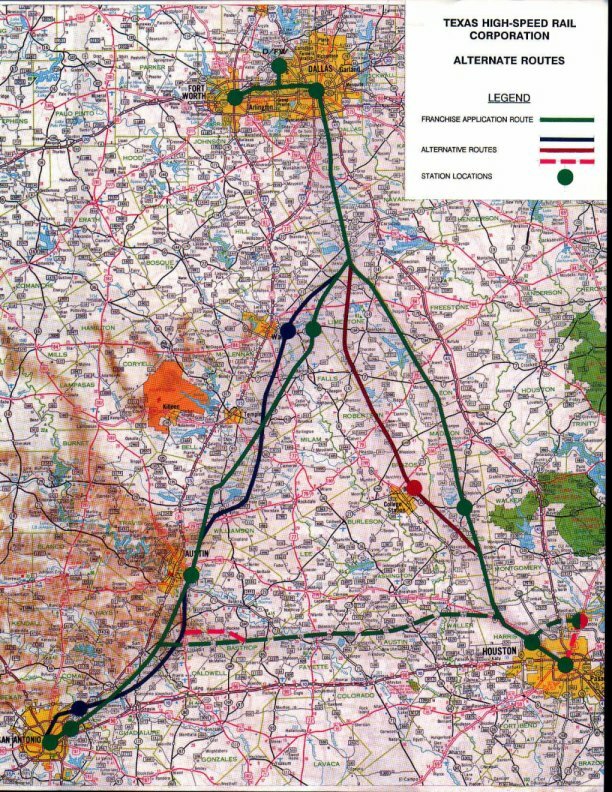 In 1992 and 1993, a comprehensive study was undertaken for a planned high speed rail system in Texas. A full EIS was completed. There were public meetings all over the affected part of the state. Like all other proposed high speed rail lines in the US, this one was cancelled. The reason, of course, was cost. 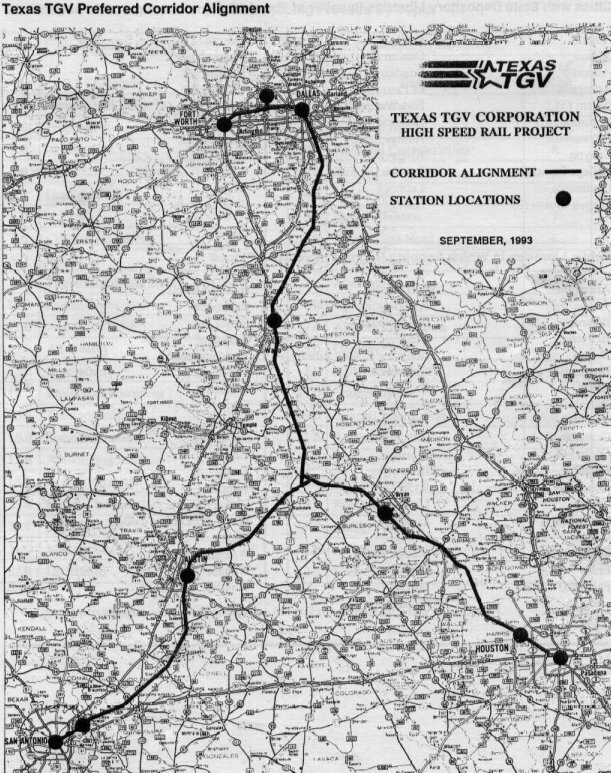 Texas TGV was originally proposed as the "Texas Triangle", with 3 main lines, one between Houston and Dallas, one between Houston and San Antonio, and one between San Antonio and Dallas. The final preferred alignment was a "star" alignment to reduce the track required. In my opinion, everyone knew that Texas TGV did not make economic sense. The construction companies financed the costly studies, hoping that the state would provide loan guarantees for the project. The loan guarantees did not materialize, so the project died. It would have been nice to have the TGV in Texas, but it was just too expensive.